There are so many things a mother is scared of. Most of the time, our fear stems from the things and situations we want to prevent from happening to our family. If we could, we would probably wrap our kids in plastic just to prevent anything from harming them. This is why I end up not allowing my 3 year old boy Choi to play outside our air-conditioned room and my almost 2 month old girl Chai always has her mosquito net around. I figured, a mom can never be too careful. Lately, I've been seeing news about Dengue and Zika virus. Being a part of the Health and Sanitation Committee in our community - I am sure about the dangers these said virus could bring. Last year was probably where the highest number of Dengue victims was recorded in our area. Because of this, I have decided to go through extra lengths just to keep them protected. Mosquito patches, Citronella flavored candles and scents, pyjamas, lotion, name it and we have it at home. Anything to protect my children and the whole family from catching this dreaded virus transmitted by mosquitoes. 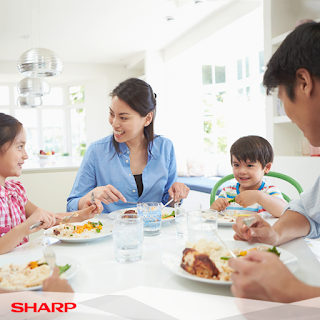 When I heard about a new innovation from Sharp that would guarantee as safer and cleaner air inside our home. I immediately did some research and so far I'm liking what I see. Manila, Philippines—With the World Health Organization naming mosquito as the number one animal threat to humans, a tropical country like the Philippines, where mosquitoes are very rampant, must always be vigilant for any oncoming Dengue outbreaks. The government has so far faced these threats with readiness and practice. With the recent global onslaught of the Zika virus, a disease carried by the same mosquito breed (Aedes aegypti) that carries Dengue and Malaria, there has never been a greater time to truly invest and become knowledgeable on its symptoms and cures. But time spent on learning these things only means acknowledging the mosquito’s capabilities of infecting and invading your home. Aside from capturing and trapping mosquitoes, the Mosquito Catcher also releases positive and negative ions through its Plasmacluster Ion Technology. These ions clean the air and eliminate molds, odors, and airborne bacteria to ensure all-around, 24/7 protection for your loved ones. It is also enhanced with the TRUE HEPA filter, which captures 99.97% of air particles such as pet dander, dust, and pollen, which may trigger asthma or allergies. 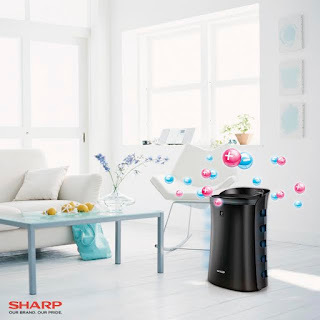 Sharp Plasmacluster Air Purifier with Mosquito Catcher with model numbers FP-FM40E-B and FP-GM30E-B are available at leading appliance stores in Metro Manila, Cebu and Davao. Search. Destroy and Be Safer. Dengue and Zika can lead to death. If we don't do something about preventing it, then the risk of being infected becomes so huge that mom-paranoia can strike faster than a mosquito! 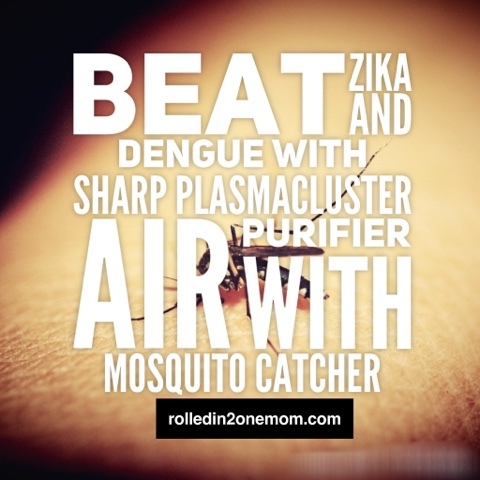 So aside from cleaning up your home and buying citronella-flavored products- make sure that you have the Sharp Plasmcluster with Mosquito Catcher at home too!